Hayley Paige has become a household name synonymous with flirty yet chic bridal designs that look radiant on so many brides. With her newly released Blush by Hayley Paige Spring 2018 collection, the designer focuses once again on statement-making skirts while highlighting the back with stunning details. We’re loving the unique takes on lace, with bold, intricate lace patterns, metallic threading and the mixing of various lace patterns. Hayley Paige elevates her traditional layered tulle look this season by taking a few risks in the skirts, with voluminous layers of dreamy tulle on certain designs, but with crepe skirts or delicate lace skirts on others for an unexpected look. The spring 2018 Blush collection features gowns available in a blush color, of course, as well as removable skirts to create two looks in one. Want to see these gorgeous dresses in person? You’re in luck! Brickhouse Bridal in The Woodlands is hosting a Blush by Hailey Page trunk show this weekend, June 22-23, featuring this incredible collection. Don’t miss your chance to try on these amazing dresses, see the movement and quality of the material in person and have the chance to say yes to your dream dress! 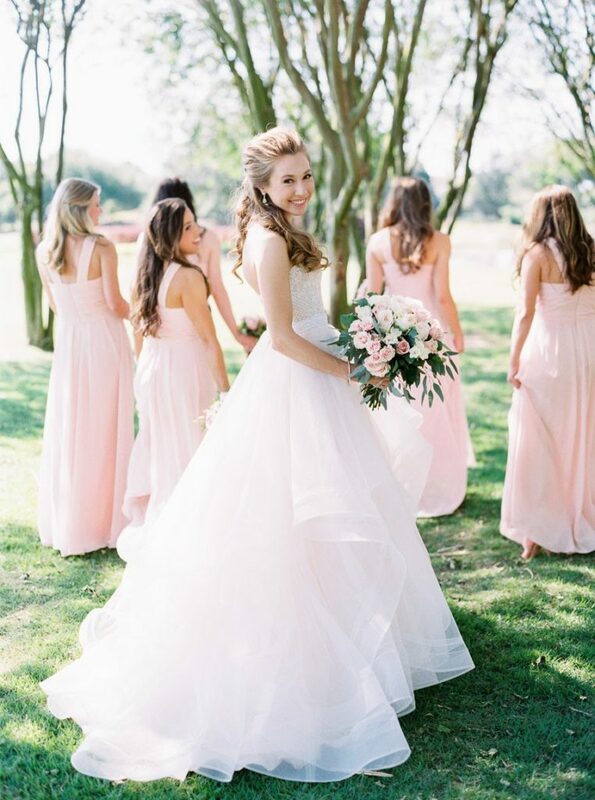 Call 281.681.3430 to set up your appointment and preview more of the Blush collection online. Happy dress shopping!